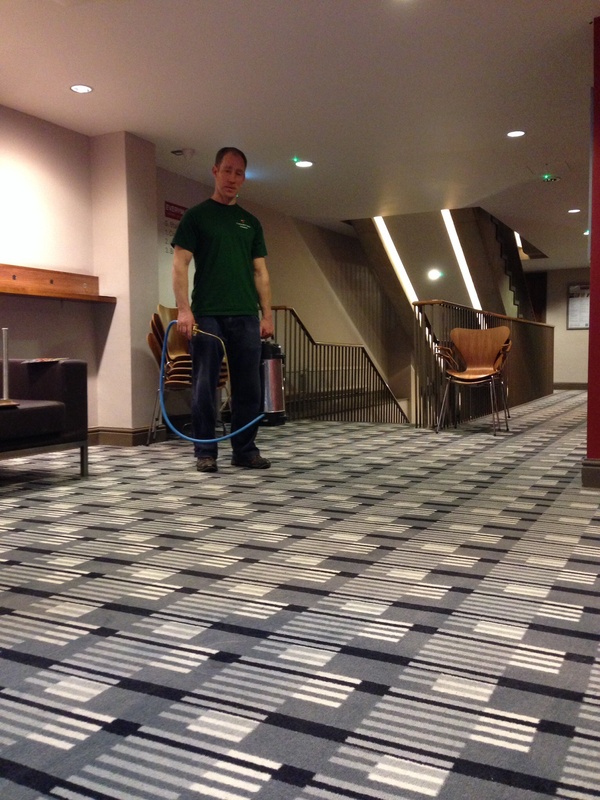 Busy day to day undertaking commercial carpet cleaning in Cheltenham, Gloucestershire. We made an early start this morning so we could get the cafe & other public areas back in use ASAP after cleaning & stain protecting. We use a low moisture method to clean the carpets to reduce drying time. We were able to fully clean, sanitise & stain protect the cafe carpet within an hour.